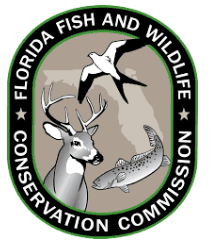 The Florida Fish and Wildlife Conservation Commission works to protect, safe and preserve Florida fish. The FL fishing photos and the latest Florida Fishing News is presented as a public service from Naples Marco Living. Thank you for supporting the fishing and wildlife conservation efforts of the Florida Fish and Wildlife Commission. Contact us for information about featuring your business in Naples Marco Living. The FWC is gathering input on management of the recreational spotted seatrout fishery. Your input will help FWC better understand the public’s satisfaction and desires related to this popular recreational fishery. Spotted seatrout is managed in Florida in four unique zones across the state (Northwest, Southwest, Southeast and Northeast). The status of the seatrout populations within each zone is assessed using a measure of population health known as the Spawning Potential Ratio. Research indicates seatrout populations should be kept to at least 20 percent SPR to maintain a sustainable population. The FWC manages spotted seatrout at a higher management goal of 35 percent SPR to provide a better fishery. In 2017, staff held a series of workshops related to a draft spotted seatrout assessment. The final assessment results were released in 2018 and suggest the Southwest and Southeast zones are exceeding the FWC’s management goal. The Northeast and Northwest zones are not meeting the 35 percent SPR management goal and may benefit from some management actions. The results of the survey will be brought to a Commission meeting in early 2019. At its December meeting in St. Augustine, the Florida Fish and Wildlife Conservation Commission (FWC) directed staff to proceed with a proposal that would set the popular and economically important 2019 Gulf red snapper recreational season. Under the current draft proposal, the Gulf season would be open June 11 through July 12, with a possible fall reopening if quota is available. This season would apply to those fishing from private recreational vessels in state and federal waters and to charter vessels that do not have a federal reef fish permit and are limited to fishing in state waters only. Staff will report back to the Commission at the February meeting for final review and approval of the 2019 Gulf red snapper recreational season. At its December meeting in St. Augustine, the Florida Fish and Wildlife Conservation Commission (FWC) approved a draft proposal that would maintain high-quality snorkeling and diving opportunities at the Blue Heron Bridge/Phil Foster County Park in Palm Beach County. The Commissioners also approved expanding the previously proposed closed area to include additional waters north of the park. Prohibit the collection and possession of marine life fishery species (species collected for and managed for the tropical aquarium trade) within the park and surrounding waters (prohibitions would not apply to other fishing activities, such as hook-and-line fishing). The changes would allow direct transit of marine life species harvested outside the closed area through the closed area so long as the vessel does not stop. The changes would also allow landing by motorized vessel of those species collected elsewhere at the park boat ramp and docks. Further, staff will evaluate all future Special Activities Licenses to determine if collection from the Blue Heron Bridge dive site is necessary or if another location can be used. Special Activities Licenses authorize certain activities that are otherwise not allowed under current recreational and commercial harvest regulations and are often issued for scientific research, education or public exhibition purposes. To comment on this and other proposals, visit MyFWC.com/SaltwaterComments or email Marine@MyFWC.com. At its December meeting in St. Augustine, the Florida Fish and Wildlife Conservation Commission (FWC) approved draft changes to shark fishing regulations, including management changes for the shore-based shark fishery. These changes will increase survival of released sharks, improve information gathering of the fishery and address some of the public safety concerns related to the fishery. Creating a mandatory, no-cost, annual shore-based shark fishing permit. Prohibiting delaying the release of prohibited shark species when fishing from the shore. Requiring that prohibited shark species remain in the water (when fishing from shore and from a vessel). Requiring the use of non-offset, non-stainless-steel circle hooks with live or dead natural bait (when fishing from shore and from a vessel). Requiring the possession/use of a device capable of quickly cutting the leader or hook (when fishing from shore or a vessel). The Florida Fish and Wildlife Conservation Commission (FWC) is gathering input on the bay scallop season structure for 2020 and beyond via an online survey. The agency has also set the 2019 regional season dates for bay scallop harvest for most of the areas that will be open to harvest. The FWC is working toward a long-term season structure that it proposes to be effective in 2020. To have your feedback included in this planning, participate in the survey by visiting SurveyMonkey.com/r/BayScallops2018. A draft rule on this season structure is anticipated to be discussed at the February Commission meeting. The 2019 regional seasons for bay scallop harvest from Franklin through Hernando counties will be the same as they were in 2018. Pasco County dates were slightly modified to ensure the season in that region opens on a Friday. The St. Joseph Bay/Gulf County season has not yet been set due to potential impacts from an ongoing red tide. The FWC is working closely with researchers and the community to determine how to move forward with the 2019 season in that region. Levy, Citrus and Hernando counties (including Cedar Key, Crystal River and Homosassa): July 1 through Sept. 24. This region includes all state waters south of Alligator Pass Daybeacon #4 near the mouth of the Suwannee River in Levy County and north of the Hernando – Pasco county line. Pasco County: July 19-28. This region includes all state waters south of the Hernando – Pasco county line and north of the Anclote Key Lighthouse in northern Pinellas County, and includes all waters of the Anclote River. 2019 regional bay scallop seasons.